This is the gift that made my mom cry every time she looked at it for the first week it was on her wall. She absolutely loved it! She deserves to know how loved she is. 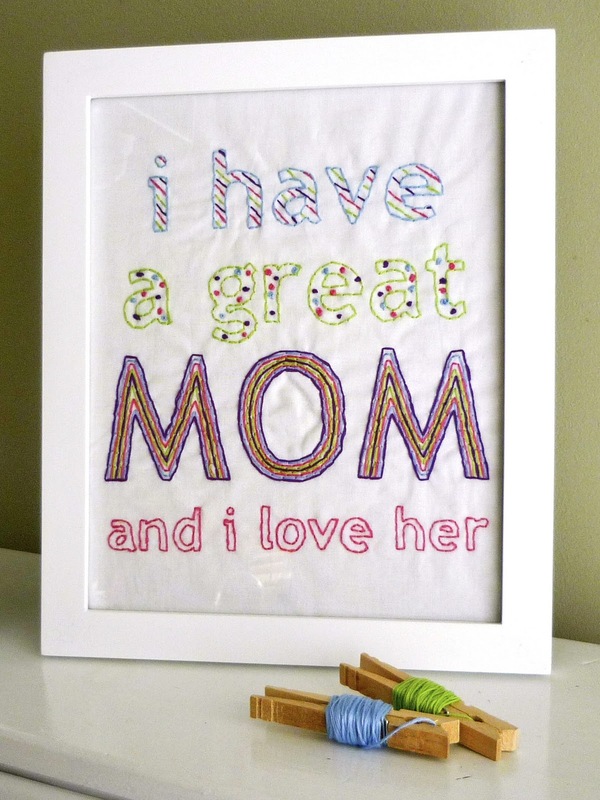 I saw this phrase on Pinterest as some type of print, and thought it would make an excellent embroidered Mother’s Day project. Then I got impatient and made it for Christmas because I couldn’t wait to see her reaction. 2. After printing, make sure your text will fit in your 8”x10” frame. 3. Use a paper-sized piece of muslin fabric and lay it over the print. Trace the letters lightly with a fabric marking pencil. 4. Layer another piece of muslin on the back to add a little thickness and limit the transparency before putting the fabric in the hoop and starting to trace the letters using a basic back stitch. 5. For the insides of the letters, I used simple French knots and back stitching to fill in the designs, but you can do whatever you think will look nice. 6. Iron very carefully and on low heat, if necessary. Fit the fabric into the frame by gradually cutting off parts of the bulky fabric from the edges.